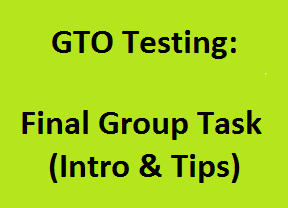 Browsing Category "FGT in SSB Interview"
Hello aspirants, Final Group task is the last test in GTO Testing. In this article we will be providing the introduction of Final Group task, How to take FGT in SSB and useful tips for Final Group Task in SSB Interview. So go threw the whole article carefully. The last task of the series of Ground Task is called the Final Group Task. GTO exposes the students to FGT. Those students do not perform well between PGT/HGT/CT should show endeavor to improve in the FGT, though it is a belated action. The final look at the students is taken by the GTO. Though last minute performance is not going to help, yet there is always room for improvement at any stage. Remember, rules, regulations, and limitations are the same as applicable to other ground tasks. This is the last task at the SSB. Already before this task the GTO will note down and choose the candidate based on performance in their previous tasks. So it is also a last chance for the candidates to show up their qualities. Even some candidates may get a few chances to prove in PGT. So those candidates should use this to prove their leadership qualities. It is also a PGT, but in PGT, the group has to cross four obstacles. Here in the FGT, we have to cross only one. So all should be fast in their decisions to work out their plans. All the rules, principles and instructions are same as that of Progressive Group Task (PGT). 1) Never look at the GTO while doing the tasks. 2) Give a good idea to the group if you don’t know any idea just help the idea givers truthfully. 3) Never violate the rules it is the basic of GTO tasks, and in case if you violate the rule, just repeat the task. 4) Be an active participant in the team by giving your full cooperation. 5) Be positive in your views i.e. take consideration about other members ideas if it is finer than yours.